Locations: FM-390 from Burton to intersection with Texas 105. I was finally able to join the Bluebell hunt this year. The Texas Bluebell or Bluebell Gentian is not rate but due to over picking it is not common as it once was. 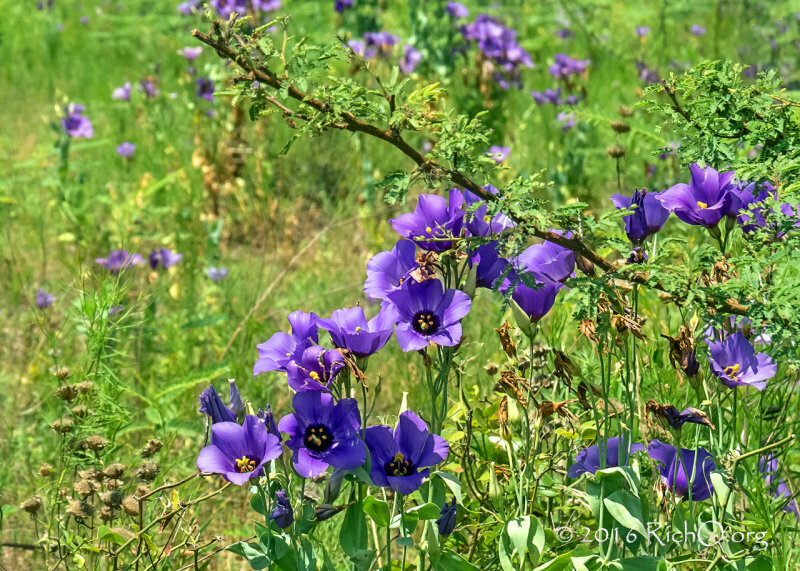 The Bluebell Gentian is not a member of the bellflower, so technically the honor of "Texas Bluebell" goes to the Campanula reverchonii which is a member of the bellflower family. However, I would not try to argue that point with the folks in the Brenham area which is the home of Bluebell Creameries, the makers of Bluebell Ice Cream. To increase my chances of finding some bluebell blooms this year, I traveled my favorite bluebell route along FM-390 from Burton to Texas 105. Two of my usual locations did not have any blooms. The huge field from 2011 that was located just east of Burton along FM-390 was pretty much void of plants. 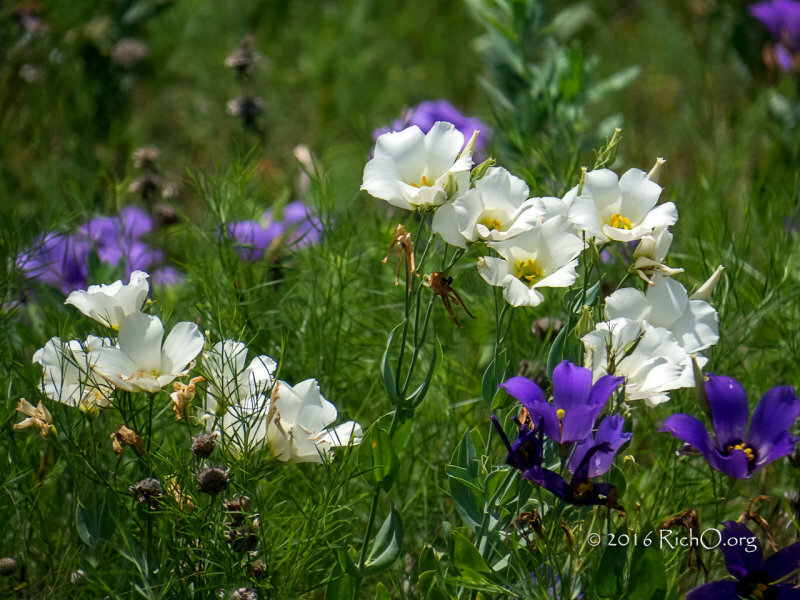 However, right around the corner I found a fairly large stretch of plants in a meadow with good healthy blooms. Another field east of Independence that usually has some bluebell blooms was also void of blooms, but farther down FM-390 I found two large fields with a fairly large number of blooms. The fields were not covered solid, but I would guess there were several hundred plants spread across the two fields. In one of the fields I spotted a plant with white blooms and a photo of that plant is presented above. Two image pano of large bluebell field. Click for full size image. Thanks for the report Rich. That is a pretty nice showing of bluebells.